Is your BREED resistant to immunity from vaccines? Did your vet explain Core vs. Non-Core vaccines, modified live vs. killed and the risks of too many booster shots? One of the most controversial issues in veterinary science today concerns vaccinations. People are questioning frequency of vaccination, safety vs. efficacy and even whether to vaccinate at all. So when you ask your vet when to bring your new puppy back for its next shot, be aware there is no one correct answer. How often to vaccinate will depend upon quite a few different factors. Some of these considerations include your puppy's environment, its breed, the age at which the first shot was given and the interval between shots. You should also be aware of (instant information) ii VID: Vaccine Induced Diseases. Also important are the kinds of vaccines necessary for the area you live in and what type, e.g., whether a killed, recombinant or a modified live-type vaccine is being used. The first point to consider is the safety issue. Vaccines can be harmful. We vaccinate because the advantages outweigh the risks. Just ask anyone who has seen a beloved pet die of parvo or distemper. But one should question the sense of vaccinating against Lyme disease or Leptospirosis in an area where these diseases are not a problem. This is why the dog's environment is so important. High-risk dogs are those that live in close proximity with each other, as in a shelter or kennel situation, or show dogs constantly exposed to dogs from all over the country. However, there are risks associated with vaccinations and when such risks weighed against the benefits usually are considered acceptable, except when it is your dog that suffers the untoward reaction. For instance some dogs, after being vaccinated with modified live canine distemper vaccine (see types of vaccines) can develop aggression, seizures, a lack of coordination and other neurological dysfunctions caused from a rare condition called postvaccinal canine distemper virus encephalitis. Another problem noted with genetically susceptible animals is that it is possible for vaccinations to trigger various autoimmune diseases, including several blood disorders and rabies vaccine-induced encephalitis. Another source of controversy is the recommended frequency of vaccinations. Although yearly boosters are recommended by most vets, for many diseases the yearly booster really is not obligatory and may be counter productive and increase the risk for adverse reactions. However, a yearly checkup is necessary for the same reasons you would have one yourself. For the low-risk pet, once the initial puppy series is completed, a booster at one year and another at three years should suffice until your dog's senior years. With the new licensing requirements duration of efficacy studies are now available. These data were only recently required. However, animal vaccines should compare favorably with the duration of human vaccines, and the results certainly reflect that. On the other hand, no data supports yearly vaccinations either. Ronald D. Schultz is Professor and Chair of the Department of Patho-biological Sciences, School of Veterinary Medicine, University of Wisconsin-Madison. He is also one of the first (2007) to make public (instant information) ii Adverse Vaccine Reactions. Dr. Schultz explains "Duration of protective immunity was assessed primarily by two procedures; the first is held to be the "gold standard and that is to challenge the vaccinated animal with the virulent organism, the second method is to measure antibody and compare the antibody titer to that which is known to prevent infection (e.g. provide sterile immunity). The studies we report here include challenge studies as well as studies that determine antibody titers. A summary of our results show the following (Table 1)." If your puppy is a Rottweiler, Greyhound or Doberman, or even a mix of one of these breeds, you should be aware that the normal series of shots for parvovirus may not be enough to produce noticeable antibody titer. It may take multiple shots given over a year’s time before your dog is protected adequately. Why is that, you ask? At this point no one is quite sure. The basis most likely is genetic because it seems more prevalent in certain lines, but some data indicate that upward of 5 percent of Rottweilers are going to be poor responders. On the other hand, the immune system is very complex, and just because the antibody titer is low does not mean the dog will not survive exposure to the disease. So what is antibody titer? Antibody titer is going to be the new veterinary buzzword. Simply put, when your body is exposed to a foreign protein such as the outer coat of a virus or bacteria, your immune system is able to recognize that this is a foreign body. Why? Because everyone carries on most cells a glycoprotein (a sugar-protein molecule) that identifies his or her cells as unique to himself or herself. These molecules are called the Major Histocompatibility Complex I and II proteins, and why they are important will become clear later in this article. Once an invasive agent is recognized as “non-self” your body is able to mount a specific immune response that targets that precise foreign protein. This is called the humoral response and involves the making of antibodies. An antibody is another protein whose job is to attach itself to the target molecule so another type of cell, called a macrophage, can eliminate it. However, the body takes quite a while to mount this specific immune response on the first exposure to an antigen, or more correctly an epitope. Epitope is “science speak” for a fragment of a foreign protein. This immune system learning process is the reason why both you and your puppy get multiple vaccinations during the first initial series. After being exposed once to a particular antigen (which is antibody-generating), some of these cells turn into memory cells with the ability to manufacture antibodies against that specific antigen with a much shorter response time. Once firmly established, immunity against the particular antigen can last a very long time, sometimes for the entire lifetime of the animal. The humoral response is just one way the immune system defends the body against pathogens. There are the native defense mechanisms such as the complement system, enzymes in the saliva and tears, acids in the stomach and even beneficial bacteria in the gastrointestinal tract that can be considered the first line of defense. For our purpose here, with respect to vaccinations, the other most important immune response is known as cell-mediated immunity. This type of immunity is the result of the interaction of several different types of white blood cells and is controlled by a class of cells called T- cells. Some pathogens, such as viruses, have learned to hide from the immune system by inserting themselves into different types of body cells. Once established within the cell the virus can either go dormant or proceed to take over the genetic replication machinery of the host cell. It is possible for the body to recognize those host cells infected by virus because certain changes occur on the affected cell surface that alert the T-cells to the presence of virus. Once aware of the threat, the cytotoxic T-cells either destroy the infected host cell or secrete an array of protein molecules that can eliminate targeted host cells. However, cytotoxic T-cells only will attack virus-infected host cells if they are expressing MHC class I molecules on their surface. A virus-infected cell also will release a glycoprotein called interferon. Not only does interferon have antiviral activity, but its presence induces the production of two other proteins that inhibit viral reproduction. Current thinking suggests that when vaccination is known to prevent reinfection, it is the humoral system that is regulating protection. However, it appears cell-mediated immunity is the primary regulator of vaccines that prevent clinical expression of disease but do not always prevent reinfection. Hence, the ideal vaccine should elicit both types of immune response. When designing a vaccine, efficacy and safety are the primary considerations. These two principles appear to be mutually incompatible. In order to offer immunity against disease the vaccine model should mimic the native antigen and yet should not cause pathology, i.e., clinical signs of disease. Killed vaccines, also known as fully attenuated vaccines, until recently have been the safest vaccine option available. They are safer because unlike the modified live vaccines they do not shed virus into the environment nor can they ever revert to virulence. However, in order to maximize their effectiveness, killed vaccines are normally used with adjuvants that can cause their own problems. The immune system is antigen-driven. This means that in order to mount an effective immune response, the body must “see” the antigen for as long as possible. There is a threshold level of “antigen load” that is necessary before the body can recognize a pathogen. This is why you should never split a vaccine vial. Once the antigen is eliminated the response is terminated. Many different compounds have been used to enhance the efficacy of killed vaccines, but the rational behind their use is to prolong the antigenic stimulus of the primary immune response. In comparison, the modified live vaccines are more like the original pathogen in the way they elicit a immune reaction. In general, vaccines that contain the living organisms will produce a stronger and a longer-lasting immunity, but their virulence must be reduced to a safe level. This process is called attenuation. Reducing the virulence of bacteria is accomplished by culturing them under unusual conditions. For example, one can make them dependent on a growth medium that is not available in the living animal so they cannot reproduce. Once introduced into the body these bacteria can elicit the expected immune response, but die off so rapidly they do not cause the disease. When the pathogen is a virus a different strategy is used-cell culture in cells or in a species for which the organism is not normally adapted. After many passages through these foreign cell lines the virus is unable to produce disease when reintroduced into its original host. Another issue associated with the use of MLV is possible contamination with other pathogens. One also should be aware this is not just one organism, but a population. Therefore it is conceivable that deleterious mutations might occur. So you can see there are problems associated with both types of vaccines and some choices between safety and efficacy that need to be made. Great strides have been made in recombinant technology and the future will bring even more advances leading to vaccines that may offer better protection and greater safety. A recombinant is defined as a virus, a bacterium or other microorganism in which the genetic material has been artificially modified. This alteration usually involves deletion of all or part of a gene or the insertion of one or more genes from another organism. So far the United States Department of Agriculture has classified three different types of recombinant vaccines. The first class is called Subunit Vaccines. It really is not necessary for an animal’s immune system to “see” the entire infectious organism in order to mount an immune response. Often all that is required is for only a small portion or protein fragment to act as the antigen. An example of a subunit vaccine is one developed by Rhone Meriux scientists (now known as Merial) against Lyme disease. This vaccine is made of purified Outer surface protein A. After mapping the genome of the bacteria Borrelia burgdorferi, it was determined that this protein evoked the greatest antigenic response. Recombinant techniques allow for the isolation of this DNA fragment and its amplified expression. It then is purified and used to manufacture the vaccine. Besides safety, one of the greatest advantages of this type of vaccine is that a simple blood test can distinguish between animals that have been vaccinated and those that are infected naturally. The second category is recombinant: Gene-Deleted vaccines. These can be considered a type of genetically attenuated modified live vaccine. Those parts of the pathogen that can cause disease are either removed or rendered nonfunctional. The third type is called Recombinant: Vectored Vaccines. Recombinant techniques are used to isolate and remove the immune-inducing genes from a pathogenic virus. These genes then are inserted into a non-virulent vector virus. Once inoculated into the host the vector virus produces both its genes and those of the ‘crippled’ pathogenic virus. This has the potential to be a very effective type of vaccine because both a humeral and a cell-mediated immune response are elicited. Class III vaccines may also allow for alternative methods of vaccination, for instance, an oral mode of administration. They also have the potential for immunization against more than one type of infection. The advances in safety and efficacy made possible by this new technology bode well for the future health of our pets. It may require one to two weeks or more to develop an effective immune response after a course of vaccination. 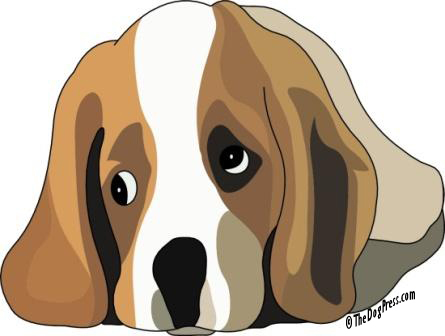 If the animal is exposed to an infectious agent prior to vaccination or shortly after, the vaccine will not have had time to induce immunity and the puppy will develop clinical signs of the disease. This also will occur if the puppy was incubating the disease at the time it was vaccinated. In fact, the modified live vaccines can cause something called immunosuppression, so vaccinating a puppy that already is sick only will make matters worse. Canine parvovirus, canine distemper and the use of polyvalent vaccines that contain these attenuated viruses have been implicated in inducing immune dysfunction. Other factors that can cause immunosuppression are stresses including pregnancy, malnutrition, concurrent infections, not allowing enough time between scheduled vaccinations and the use of drugs such as prednisone. Another cause of vaccine failure is incorrect administration, including splitting a vial between puppies. However, the most common reason for vaccine failure is thought to be the presence of maternal antibodies. This is a passive immunity gained from the dam’s colostrum during the first 72 hours of nursing. Maternal antibody interferes more with viral vaccines than bacterial vaccines and with the parvovirus vaccines more than any other type of viral vaccine. Unfortunately, the amount of antigen that causes disease is less than that needed to overcome maternal antibodies, so there is a period of vulnerability when the protection afforded by maternal antibodies is not sufficient to prevent disease and the puppy’s immune system is not yet fully functioning. It is very important not only to isolate the puppy from contact with other dogs, but to maintain a strict hygienic regime. A bleach solution diluted 1:10 with water will kill even the parvo virus, but remember to thoroughly rinse with clean water before allowing the puppy to contact a bleached surface. With the stipulation previously mentioned that there is no one correct vaccination protocol and that each individual animal’s needs should be assessed by its veterinarian, what follows is an example of an optimal vaccination schedule. Ideally the initial vaccination should begin no earlier than 6 weeks of age. Older technology suggested that the first shot would contain a modified live measles/distemper vaccine. Measles? Yes, measles. This is an example of a process called heterotypic immunity. It is possible to induce an immune response to one microorganism by immunizing with another microorganism. Since the measles virus is antigenically related to (the body sees it the same way as) the distemper virus, it was possible to confer temporary protection against distemper while avoiding interference from distemper maternal antibodies. We now have available a recombinant distemper vaccine that is able to overcome maternal antibodies and is considerably safer. If giving the core vaccines in a polyvalent form the second shot should given approximately 3 to 4 weeks after the first injection. Most practitioners also will recommend the puppy be inoculated against canine adenovirus type 2 (CAV-2), which causes a respiratory tract disease. This vaccine will cross-protect against infectious canine hepatitis as well. In some rare cases, if given jointly with the distemper MLV, it can cause temporary immunosuppression. The use of low passage/high titer vaccines now have made it possible to overcome maternal antibody vaccine inactivation at an earlier age and thus shorten the window of vulnerability to canine parvovirus, but remember greater efficacy means you lose some safety factors. Many veterinarians will vaccinate every two weeks, although a three- or four- week interval is considered optimal. So the third shot should be given in that time frame. 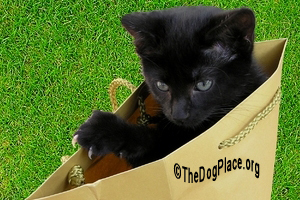 At six months a rabies vaccination is required by law. A killed rabies vaccine in the most commonly given and the preferred route is intramuscular. There is no question that one should vaccinate. 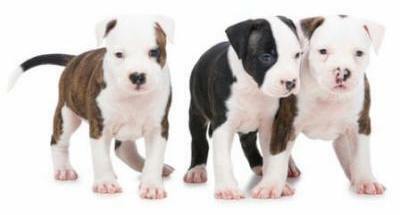 Vaccinations protect both the individual dog and the canine population as a whole. What you as a pet health consumer should be aware of is that there are some very real concerns within the veterinary community on the vaccination issues. It is difficult to obtain agreement among academics as to the necessity of certain vaccines, much less the question of yearly vaccinations. You will find just as little consensus among practitioners, but it is you, the puppy owner, who needs to make the final decision. Additional Note: First shots at six weeks...a week before start the puppies on EA to boost the immune response. Helps protect the whelps during the vulnerable period when protection from the mother has faded and the puppy has not developed its own immunities. 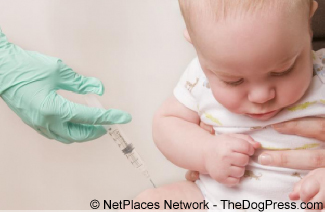 Vaccinations could cause anaphylactic shock in babies and puppies. 17 symptoms for over-vaccination. Vets recommend fewer shots.